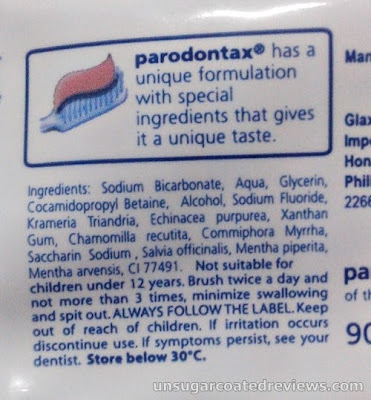 When I had oral prophylaxis at Sambitan Dental Clinic a few months ago, Dr. Sambitan recommended Parodontax toothpaste to me since my gums bled easily. I tended to spit blood every time I brushed my teeth. I was able to buy Parodontax at South Star Drug in SM North for P110. I used it twice a day and the 90g tube lasted around 4-5 weeks. 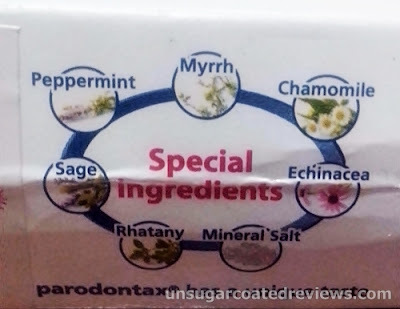 Parodontax includes fluoride, peppermint, myrrh, chamomile, sage, echinacea, rhatany, and mineral salt (the more technical names of these ingredients are also posted on the tube and on the box). The presence of these special ingredients give the toothpaste a unique taste, as forewarned in the packaging. It does not taste gross, just different. This toothpaste tastes salty, a bit minty, a little hot, and sometimes bitter. This toothpaste is effective. After just a few uses, my gums stopped bleeding. Since it has no SLS/SLES unlike typical toothpastes, it does not lather so much. I actually like that it is not foamy since it results in more effective brushing. To date, Parodontax is the most satisfying toothpaste I've tried -- my teeth feel cleaner with it than with other toothpastes. The only downsides are that Parodontax is more expensive than ordinary toothpastes and it is also a bit hard to find. When my tube ran out, I couldn't go to a South Star Drug store so I went to Mercury Drug (Puregold Monumento branch). The pharmacist pointed to Pyodontyl and when I told her that I wanted Parodontax and not Pyodontyl, she looked confused and asked her co-worker who also did not know about Parodontax. Unbelievable! I also went to one of these Mercury Drug stores and one pharmacist told me that Parodontax was already phased-out. She suggested me Lakalut instead. When I checked at Watson's Parodontax was available. Disgusting. Wonderin if that pharmacist at Mercury did really know her stuff. Tsk tsk that's disappointing, considering that Mercury Drug is the #1 drugstore here in the Philippines. If you have tended to spit blood every time when you have brushed your teeth. 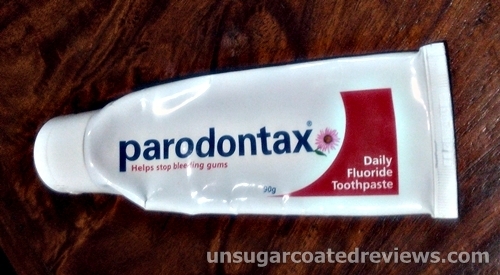 You can try with this parodontax daily fluoride toothpaste. Thanks for sharing. I write from Kabul Afghanistan. I have been using Parodontox since two years but I believe Parodontox by GSK company is no longer available in market. Complai to GSK (BIG PHARMA) that you want it back...not the stores. 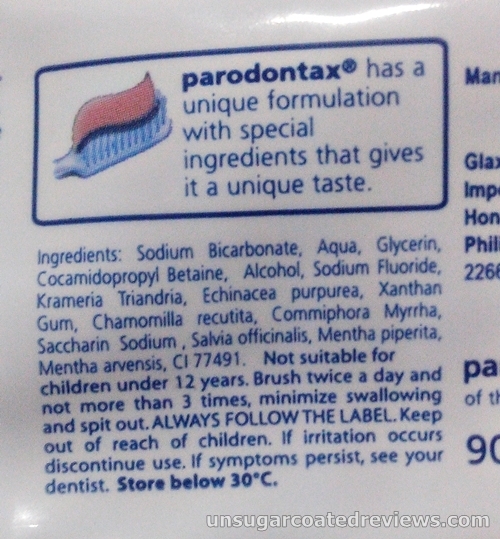 I need help where can I find Parodontax toothpaste here in the Philippines.